UPDATE 10:00 p.m. | According to police, the car chase ended near 18th and Jackson in KCMO. The suspect is in police custody. Police are now chasing one of the suspect’s cars, heading westbound on I-70 toward KCK. 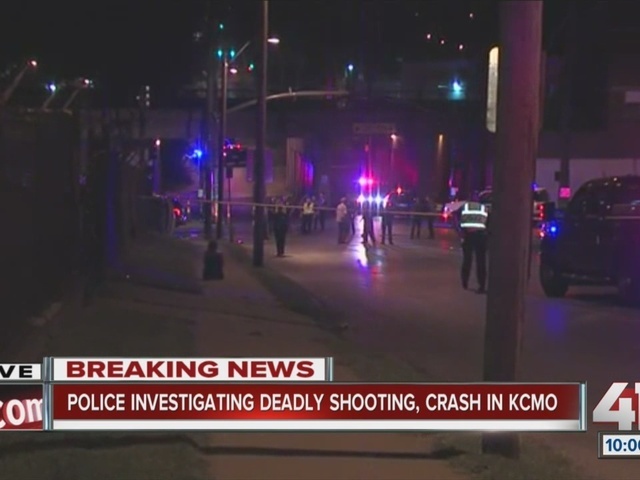 According to reports, police are chasing a suspect car after a shooting near 9th and Hardesty Ave.
Police responded to a call just after 9:00 p.m. on a reported shooting at the location. When police arrived on scene, they located more than one victim suffering from bullet wounds. Police say one victim is dead and another is in critical condition. Police say there were eight victims total. According to reports, six children were hurt in a crash associated with the shooting. Reports say victims were transferred to Children's Mercy Hospital.